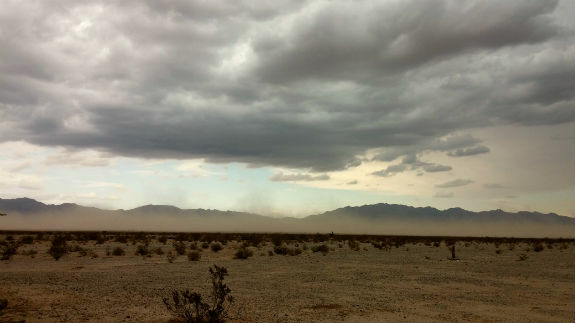 I was standing in my driveway looking south toward Highway 62 and the Pinto Mountains, a half mile away, when I saw a strip of dust come up. At first I thought it was an off roader, but the cloud of dust kept getting bigger and denser. This all happened very fast - in a matter of minutes. Ken, watching the storm form. It keeps getting bigger and coming closer. It's hard to even see the Pintos now. At this point we went in the house because we couldn't be sure how fast it was traveling. It seemed pretty fast. You can no longer see the Pinto mountains at all. 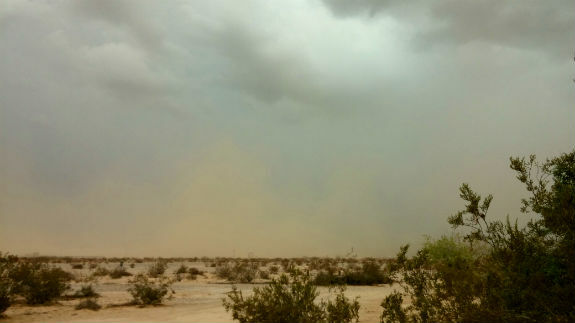 We came out a few minutes later and the dust storm had crossed Amboy. You can see the plume in the center is taller than the mountain. 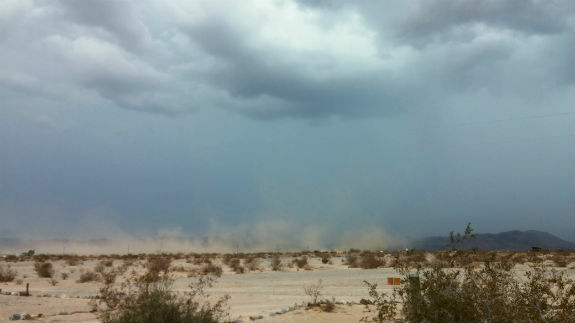 I saw this same dust storm at my place. The sequence of events is identical. 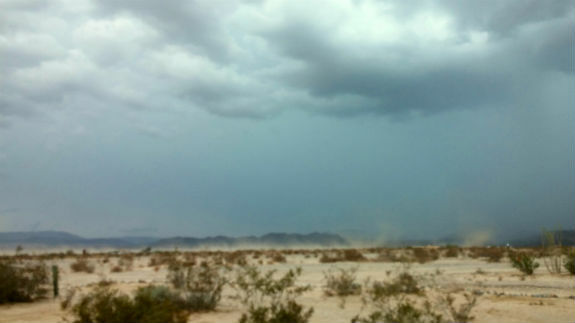 I went to the north side of my cabin for protection from the wind and watched the dust blow over Amboy Road toward the northern mountains. 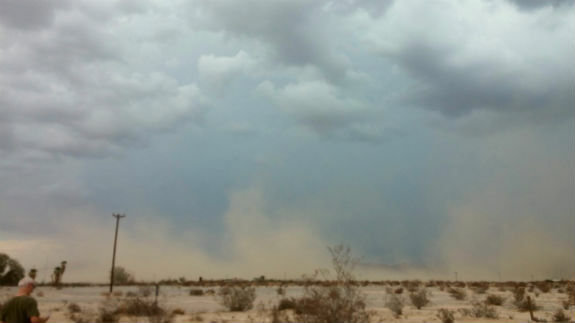 Before the dust storm, there was a lot of rain in the south, so I am thinking it was caused by a downdraft created by the falling rain. Any meteorologists out there want to comment on it? I saw the same thing occurring from the north on the day that Charlotte William's roof blew off. 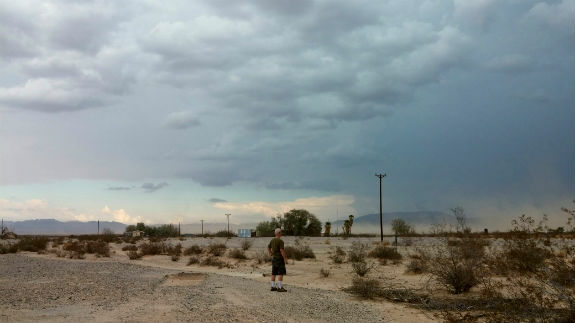 There was a lot of rain falling off in that direction followed by the dust storm. Desert living is always exciting!